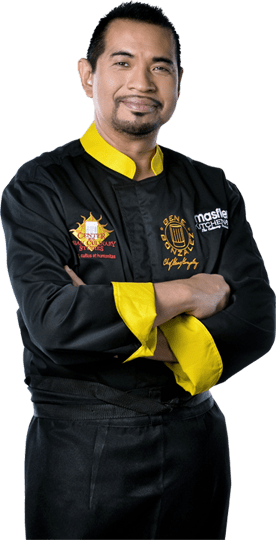 With the help of Masflex for the technical product aspect, and based on Chef Gene’s years of experience of the correct use of all types of knives in the kitchen, the team set out on an intense Research & Development regimen. The process took over 2 years due to Chef Gene’s meticulous study of the knife blade, steel composition, bolster weight, tip & point angles, and even handle types which are all important & crucial in the ergonomics of the use of a knife. After finalizing the specifications, Chef Gene embarked into an intensive use test of each type of knife and subjected them to rigorous functional use in his restaurants. Chef Gene had a panel of Executive Chefs, Sous Chefs, & Line Chefs to aid him in the process of critiquing the use of the knives to ensure that he would be able to collate all the best features and make the necessary specification revisions to ensure that the Kitchen Pro Knife Collection would truly be suitable for the Filipino Chef & Kitchen Enthusiast.